Please select a property above. *Weekly rate does not include housekeeping and linen. Locations vary. See property listings for details. Siegel Select is the best choice in extended stay hotel and apartment rentals. We have affordable rates and convenient locations across the South and Southwest. Our locations include Alabama, Arizona, Mississippi, Nevada, New Mexico, Tennessee and Louisiana! Whether you are traveling for business, looking for temporary or corporate housing or searching for your new home; our Siegel Select extended stay hotel and apartment suites have just what you need. Residents will enjoy amenities including free utilities, cable TV, upgraded wireless internet access, pool, laundromat, rewards program and more! Not sure how long you’re staying? No problem! You can stay short term, long term or forever. Here at Siegel Select, we offer many pet friendly units (see properties listings for details) with low daily, weekly and monthly rates. Bad credit OK! Looking for convenience? 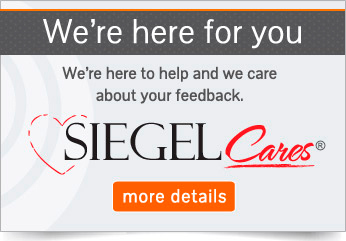 We provide all you need to make Siegel Select your new home. Our spacious and newly renovated studio, 1 bedroom and 2 bedroom extended stay hotel suites are fully furnished. We also offer optional housekeeping and linen services. Staying long-term? 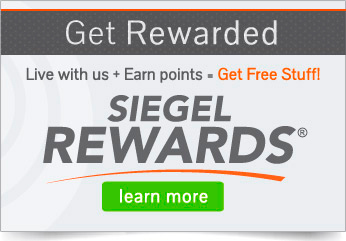 Sign up for our Siegel Rewards Program where you can earn points just for staying with us. The longer you stay, the more you earn. Move in Today! Call 888-233-6428 for more information. Don’t forget to check out our other brand Siegel Suites. With flexible stay options, larger unit types available and 30 day minimum stay. You’ll have even more locations to choose from in Albuquerque, New Mexico; Phoenix, Arizona; San Antonio, Texas; Shreveport, Louisiana; Jackson, Mississippi & several locations in Nevada including Las Vegas, Mesquite, and Reno!